"This unique book is written by someone who knows her subject well. 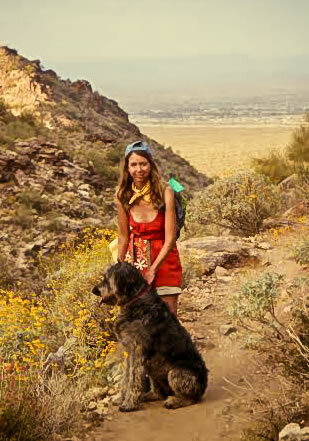 Kat Elton...knows that people with RA don’t need false hope or to be told what to do. What they do need is to be led toward believing in themselves and improving their reality no matter what it is." "I have been struggling with RA for 3 years...I am very impressed with how this book just puts it out there...I would recommend the book to anyone who has RA, Or anyone who wants to support a person with RA...It's a great read" -- Jamie M.
"Living with rheumatoid arthritis can be frustrating so it's always helpful when another persons experience can shed some helpful light on how to cope. Recommended reading for anyone with RA" -- Peaches. 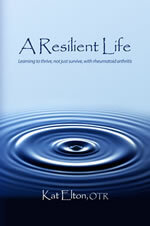 Kat Elton's A Resilient Life, or the book I wish had been around when I was diagnosed with rheumatoid arthritis. "One of my favorite aspects of the book is how it is designed to be a practical guide- there are worksheets at the end of every chapter to help you sort through and organize feelings, game plans for pain management and flare-ups, and doctor appointment checklists." "...by her own personal example, Elton proves that a disease diagnosis is not a death sentence – but rather a new opportunity to embrace life in a much more meaningful, gratifying way. 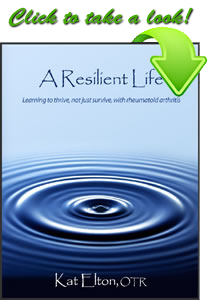 With a wealth of helpful advice and powerful insight,A Resilient Life is a truly rewarding, uplifting read. Highly recommended." "Author tells it like it is. 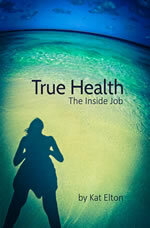 Very positive, can do attitude towards chronic, life changing illness."